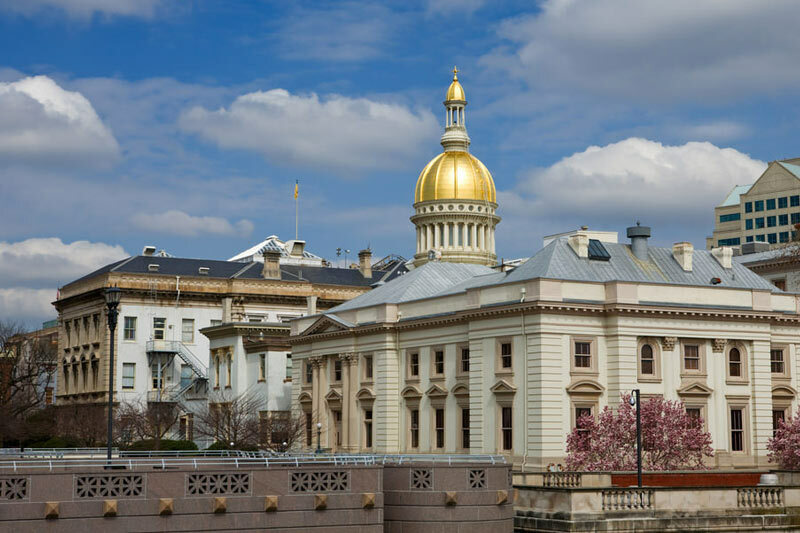 The number of jurisdictions that have adopted the Uniform Bar Exam (UBE) continues to increase, as New Jersey gets set to administer its first exam in February 2017. Above the Law, an online publication that covers legal news and trends, reported last October that New Jersey was thinking about adopting the exam, but it hadn’t made the decision yet. The New Jersey Courts made the official announcement on April 14, 2016. What does this mean for law students? Two Chances to Pass New Jersey Bar Before 2017. If you 1) have the intestinal fortitude to handle three consecutive days of testing and a few hundred miles of travel, and 2) can manage to afford an additional $250 to sit for the UBE in New York this summer, you can increase your odds of being admitted to practice law in New Jersey in 2016. How can you swing that? Apply to take the UBE in New York by midnight April 30th (New York’s $250 UBE application fee is the cheapest in the country). The New York Board of Law Examiners will likely require you to sit for the UBE in either Albany or Buffalo (they only send New York residents to the Javits center even though that would be far more convenient for residents of New Jersey). Also apply to take the New Jersey Bar Exam by April 30th (and to save on late fees, apply by April 22 for $575 vs. $1,100 by April 30th). Then, take the UBE in New York on Tuesday, July 26, and Wednesday, July 27 (in order to get a portable UBE score, you have to take both portions of the UBE in New York, so you could not physically sit for the MBE in New Jersey). Get back to New Jersey on Wednesday night, and sit for the New Jersey essays on Thursday, July 28. The New Jersey Bar Examiners will allow you to transfer your MBE score from the Wednesday portion of the UBE in New York. This way, if you struggle with the MEE or MPTs on the UBE, you can still pass the New Jersey Bar Exam based on your MBE and your performance on the New Jersey Essays (i.e. the July 2016 New Jersey Bar Exam). If you struggle on the New Jersey essays, you could still earn a 266 or better on the UBE, seek admission in New York, and apply for admission in New Jersey before the February 2017 bar exam. You’ll be able toapply for attorney jobs and practice in New Jersey if you are successful on either exam. Thankfully, if you are prepared enough to pass the UBE, you’ll be prepared enough to sit for the New Jersey Bar Exam. As it says on the New Jersey Bar examiners’ website, “knowledge of New Jersey law is not crucial to success on the examination, [though] familiarity with new law or distinctive cases will aid you in preparing your responses.” That is, you can answer New Jersey Essays with either New Jersey specific law, or “multiastate” law that you know from preparing for the UBE. For years, students sitting for the New York State Bar Exam (which prior to New York’s adoption of the UBE required answers centered around New York specific law or the answer was wrong), routinely sat-for and passed the New Jersey Bar Exam by simply applying their knowledge of “multistate” law that they learned for the MBE portion of the New York Bar Exam. If you can’t stomach the thought of taking both exams in a three-day stretch and you’re only going to take one, it makes sense to register for and then take the UBE in New York if you ever plan on practicing in New York or one of the other UBE jurisdictions. Then, you can use your passing score to apply for admission in New York, New Jersey, or any of your other options. The biggest reasons not to take the UBE would be if you have already paid the $575 non-refundable application fee for the New Jersey Bar Exam, or if you have zero intention of practicing in any state other than New Jersey over the next five years. Don’t let the announcement about the UBE delay your admission to New Jersey. For students just graduating from law school who planned on taking the New Jersey exam this summer, nothing has changed other than that you have additional opportunities to pass. For students who have taken the New Jersey Bar Exam before and are planning to take it again, the same advice holds true. Either take the New Jersey Bar Exam again this summer, or sit for the UBE this summer. Waiting seven additional months to take the bar exam means an additional seven months before you become admitted. Nationwide, almost two dozen jurisdictions have chosen to switch from their state-specific exams to the UBE. Within the past few months, South Carolina, Vermont, and the District of Columbia have also announced that they are going to adopt the exam. Mr. Pieper believes that other states will follow in their footsteps, especially since the American Bar Association supports universal adoption. It will be interesting to see which state is next. If the trend continues, eventually every state may come to the same conclusion. Update: Since publication, West Virginia, Connecticut, Massachusetts, Maine and Oregon have also adopted the UBE.